For 25 years, Cigar Aficionado has celebrated the joy of premium cigars. Not only have we told our readers the fascinating stories of the men and women who are responsible for creating your favorite brands, we’ve also sought out notable figures from all walks of life who find themselves united by a common interest: enjoying a fine cigar. 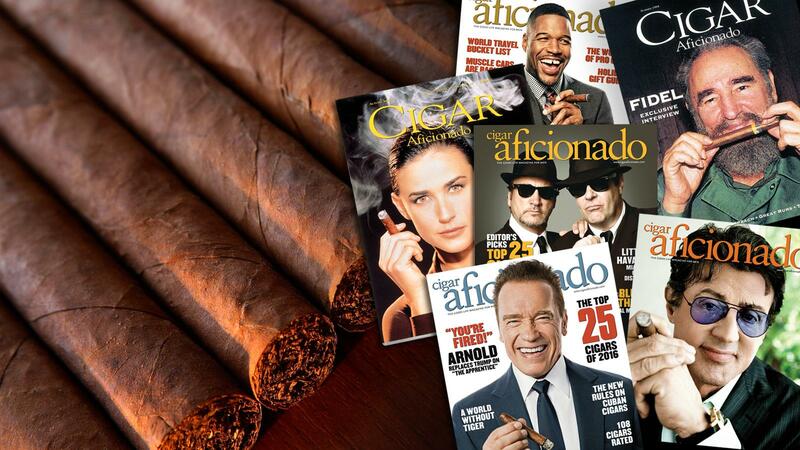 To coincide with Cigar Aficionado’s 25th anniversary issue, we have organized a special contest—with a very special prize—that revisits a quarter-century of celebrities who have graced the cover of our magazine. It’s a tournament bracket, but instead of sports teams the contenders are a selection of our most memorable covers from the long history of the magazine. Who will our readers choose to be the ultimate cigar aficionado? Will it be the legendary Sir Winston Churchill? A more contemporary choice such as Arnold Schwarzenegger? Perhaps comedian George Burns’ smile will win over the hearts of voters. You can vote now in the first round, which features such intriguing matchups as Jack Nicholson v. Michael Douglas, legendary Star Trek captain William Shatner against two-time Cigar Aficionado cover star Tom Selleck and a The Godfather Part II showdown pitting Robert De Niro against director Francis Ford Coppola. Each round you vote in, your email is entered to win a mystery box of vintage cigars. These beauties come straight from the personal collection of Editor and Publisher Marvin R. Shanken. There will be six rounds in all, and the more rounds in which you vote, the higher your chances of winning. Check out coverchallenge.cigaraficionado.com to cast your vote!